The I-15, I-16 and I-153 fighters were the world's first mass-produced fighters. Some 17,000 Polikarpovs had been manufactured by the time production ceased in 1941. They served with the Republicans in the Spain, the Chinese against Japan in 1937-38, and the Soviets against both Japan in the Nomonhan Incident and Finland during the Winter War. By 1941, more than 20 Soviet pilots had made ace in Polikarpovs, and many more attained that status during the first months of the German invasion. Though thoroughly outclassed, the Polikarpov was the backbone of the Soviet air force during the early months of the war in the east, and continued to serve, as training aircraft and as frontline fighters, some right through to 1945. 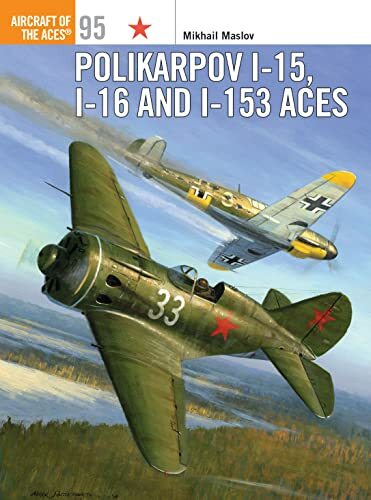 From the heat of Spain to the frozen wastelands of Finland, this book reveals the combat stories of the pilots who flew the Polikarpov fighters from 1936 until the end of World War II.